Andrea McAuliffe gifted her older sister Michelle Fredricks the greatest and most personal gift of all – the ability to become a mother. Michelle, then 41, and her partner Lloyd had been trying for children of their own for the better part of a decade but due to Michelle’s severe endometriosis, her egg quality was very low and they embarked on a long journey of unsuccessful IVF procedures. “I actually did fall pregnant on our first go which was amazing, but then we got to our 12 week scan and we found out our baby had problems and sadly the pregnancy could not progress,” Michelle said. 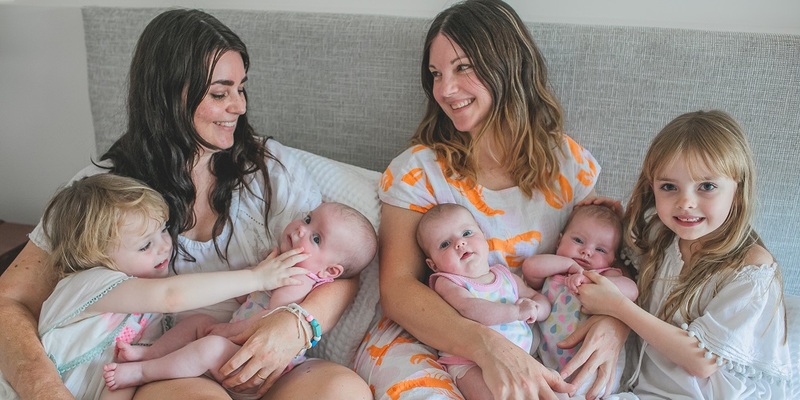 While her older sister battled through round after round of IVF, and three miscarriages, Andrea had two successful pregnancies and was raising her two daughters Ginger and Lulu on the Sunshine Coast with her husband Matt. “I always thought Michelle would fall pregnant from IVF but she never got eggs that were really viable,” Andrea said. In February 2016, Andrea began the process of IVF and flew down to Bendigo, where Michelle lives, to have her eggs collected. Soon after, Michelle received the great news – she was pregnant. With triplets girls! “It was such a surprise and quite scary realising I was carrying three babies,” Michelle said. Having a high risk pregnancy, Michelle began regular appointments through the Women’s Multiple Pregnancy Clinic*, attending the same hospital where the first successful IVF baby was created in 1979. Michelle was closely monitored at the clinic and at 32 weeks, doctors detected that one of the triplets had stopped growing. The decision was made to induce delivery. Andrea had flown down to be by Michelle and Lloyd’s side for the girls’ birth. Sadie, Edie and Stella arrived on 16 November 2016. It was a full day after the girls were born before Michelle got to properly meet her long-awaited and much wanted daughters as they had been taken to the Women’s Neonatal Intensive Care Unit (NICU) due to their size and early birth. 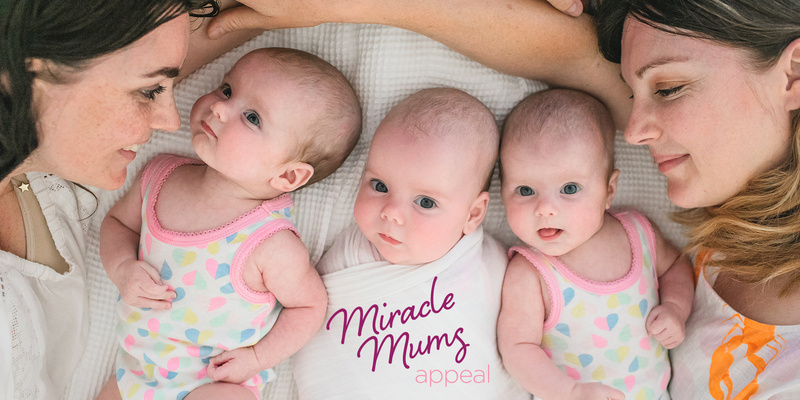 “I think it was that moment, when I made it to see them, I went into the room and there were these three tiny babies and they were mine – that was the first time I felt like a mum,” Michelle said. Reflecting on her experience, Michelle said she felt “so lucky” to have had access to the care she did through the Women’s Multiple Pregnancy Clinic and NICU. “I had my three babies and did not pay a cent for the type of care we had. We don’t realise how lucky we are to have a public health system like this in Australia,” she said. * The Women’s Multiple Pregnancy Clinic is Australia’s first and largest clinic specialising in multiple pregnancies, bringing together the state’s leading clinicians with experience in complex twin+ pregnancies.